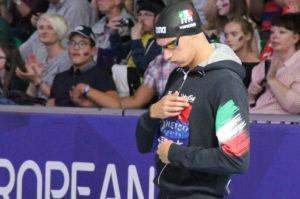 With that pesky meet in Spain out of the way, now it’s time to start dumping SwimSwam’s resources into getting our readers’ gears switched over the next few weeks. We’re still wrapping up the IPC World Championships, and the World Junior Championships are coming up in two weeks, but for the most part, it’s time to flood the market with short course swimming between 6 more stops on the FINA World Cup circuit and of course NCAA swimming. We’ll get into a roll by ranking the top 12 women’s recruiting class of 2013. Our methodology tries to balance a lot of different information. Predominantly scoring at the national level, but also scoring at the conference level. A dozen conference scorers outweighs a single NCAA scorer. We can only consider recruits we know about. If a team hasn’t made their recruits public through a release or through an email to us, we did the best to find as many as we could, but if we don’t know about the recruit, we can’t consider them in the class. Incoming transfers, though we discount them for the number of years of eligibility they have left. It’s subjective, and we like it that way. The value to a college team. 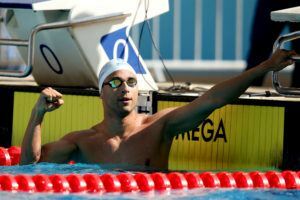 An equivalent sprinter can swim more events and is therefore more valuable than a miler. That’s not our opinion – that’s the opinion of a vast majority of the college coaches and swimmers we talk to. Savvy? So, feel free to disagree with our rankings, but try to bring some better reasoning than the above. Florida Gulf Coast’s athletics department sure will be racking up the airline miles this summer. It starts with Nina Schiffer, who was an Olympian for Germany back in 2008. She has long course bests of 2:09.3 in the 200 fly, 4:43 in the 400 IM, and 2:00.4 in the 200 free, all of which means she’ll probably shatter school records in her first year. Match that with Dutch National Record holder Kira Toussaint, who has been 57.1 in the 100 short course meter backstroke, and the Eagles have the two statuesque figureheads of this class. But it’s an absolutely massive class around them. Evita Leter from Suriname has been 32.5 in the long course 50 breaststroke, which is a very good time. They’ve added three swimmers with ties to Indian River (Lizardi, Centeno, and Munoz), and a whole lot of depth for their program that could mean big scoring at the CCSA Conference Championship meet. Carol Capitani’s first recruiting class at Texas was a good one, though it reached largely outside of the state borders. Karosas is a backstroker from St. Andrew’s in Florida who has backstroke bests of 53.2 and 1:55.4. Most years, those times would put her in position to score at NCAA’s as a freshman, though with the two years of backstroking classes we’ve seen, that task will be taller. She also goes 2:00 in both the 200 fly and the 200 IM, and will probably develop into a free relay swimmer too by the time she graduates. Cox, one of the few natives, is extremely versatile, and with a 1:59.3 should give Texas the IM presence they’ve been missing. She’s primarily a breaststroker with yards bests of 1:01.8 and 2:14.1, but also has Juniors or Nationals cuts in the 100 and 200 backstroke and the 200 free (1:48.9). Low was a part of a National Age Group Record setting relay for the JCC Waves, and has been 23.4 and 50.6 in yards, and even better times than that in long course. She’s a good sprint backstroker too, going a 55.5 at her League Championship meet as a senior. Brynne Wong, also from California, is a 22.9 in the 50 yard free and a 54.3 in the 100 yard fly. The star of the class has to be diving signee Samantha Bromberg. The Longhorn women will have one of the best diving groups in the country, between Bromberg and fellow Team USA diver Maren Taylor. The freshman dove the platform synchro (with Cheyenne Coosineau from Ohio State) at the World Championships, where they placed 7th. This was a year where many of the country’s top divers skipped the trials meet, but that’s still an impressive accomplishment before even coming to Texas. Overall, with the exception of Bromberg this class doesn’t have a superstar like many of the above do, but Capitani did a good job of bringing in a solid holdover class while she establishes her new order in Austin. Many of these swimmers should become relay contributors at least, and the Longhorns have good depth now to back up a big senior class next season (and a very important one that graduated last year). 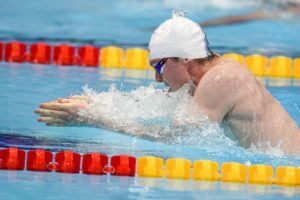 In a year that’s been heavy on Polish imports to the NCAA, Virginia Tech has picked up their third swimmer, in the last two years from Wroclaw, the country’s fourth-largest city. Klaudia Nazieblo comes from the same area as sophomores-to-be Weronika Paluszek and Michal Szuba, already on Virginia Tech’s roster, and has the potential for a similar immediate impact. In long course, she’s a 1:01.4 and 2:12.3 in the 100 and 200 meter backstrokes, and has shown every bit of the same aptitude in short course meters so far in her career. Those times convert to 53.9 and 1:56.7 in yards. She won’t have the medley spot automatically, as incumbent junior Sabrina Benson is a 53.4, but at the least, Nazieblo should be an immediate individual scorer at NCAA’s. Auriane de Premilhat comes from the famed Marseilles club in France, where she is also a backstroker. Short course meters have been her best course so far, and she has been 1:00.0 and 2:08.9 in the 100 and 200 backstrokes, respectively (which converts to 54 low and 1:55, about, in yards). Gruber also fits in that group, with bests of 54.1 and 1:59.2 in yards, but she adds a 53.50 in the 100 yard fly as well, which is where the Hokies probably need her most – after the graduation of ACC Champ Heather Savage, the Hokies return a best of 55.7 in the 100 yard fly. Buscaglia will be a free relay contributor, with bests of 23.4, 50.7, and 1:49.6 in the 50, 100, and 200 yard freestyles. Fiona Donnelly from the UK and Hespeler from Connecticut are the same, with a long course best of 2:03.90 from back in 2011 at the European Junior Championships. They’ve kept a very good diver, Leah Piemonte, at home: she dives with the Christiansburg-based H2Okies diving club and is a three-time Virginia High School State Champion that specializes in the springboard events. For the second-straight year, UCLA has managed to fight off the California powerhouses at USC, Cal, and Stanford to grab one of the really big-name in-state recruits. This year, not only did they get one, but they took two of the top five recruits in the state. One is Linnea Mack, who despite going a bit under the radar is an elite-level sprinter. She won California’s Central Coast title in the 50 yard free in 22.6 (she’s been as fast at 22.5), and also has a 49.1 in the 100 yard free. Her 53.0 in the 100 fly makes her an especially good fit at UCLA, where butterfliers have probably been the strongest group year-in and year-out. The Bruins had three 100 butterfliers go 53.1 or better last year, including two underclassmen. That should allow Mack to focus on the sprint freestyles her freshman year and really help UCLA in those races at both the conference and NCAA levels. 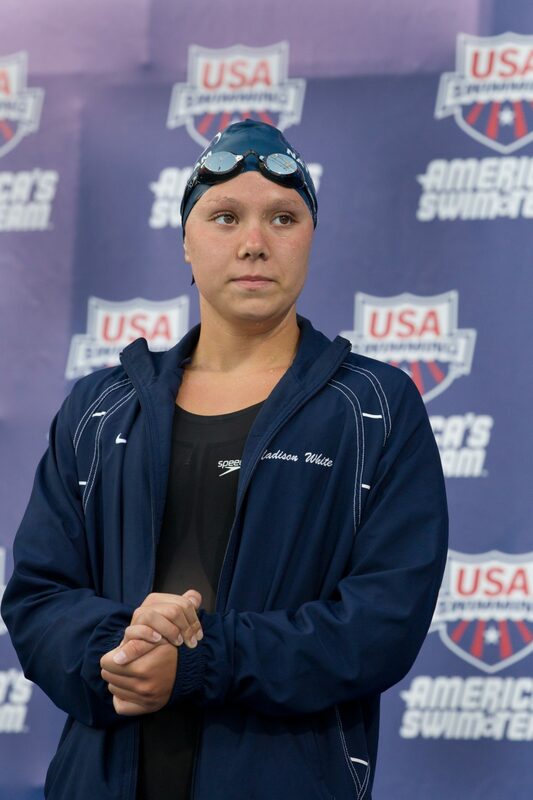 The other star addition is Madison White, who in 2010 at just 16 years old swam at the FINA Short Course World Championships representing the U.S. in the 200 back. She has hit a bit of a wall in her progression over the last two years, but comes to Westwood with bests of 53.7 and 1:55.0 in the 100 and 200 yard backstrokes, plus a 4:17.9 in the 400 yard IM. She should take over as the program’s #1 backstroker from the graduated Andrea Reigel. Having a great backstroke leg on medley relays has become a necessity to compete in the Pac 12, where a dozen swimmers were 53.0 or better. Ashley Tse and Emily Hammond add depth to that group with bests of 55.8 (Tse – 100 back) and 2:02.2 (Hammond – 200 back), respectively. Burton is not quite at the level of those two, but she also fills a big need for the Bruins since their top breaststroker left NCAA swimming after her freshman season two years ago. She is the three-time champion in the 100 yard breaststroke in California’s Southern Section Division I, with her best time coming with a 1:01.69 as a sophomore. As a junior, she was 2:16 in the 200 yard breaststroke. She didn’t have a great senior season, though. Merlihan is a promising middle-distance freestyler from Irvine who has yards bests of 1:49.5 and 4:47.9 in the 200 and 500, and maybe most importantly in this class kept improving as a senior. I have never heard of her before today! 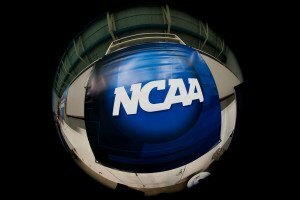 There are no many French swimmers in NCAA now. Eric and Justine Ress. I don’t see other names. Always interested to read the differences between Americans and non-Americans on NCAA swimming. Most Americans are incredulous when somebody doesn’t swim in college and many non-Americans are shocked when somebody does swim in college. Phelps is the best swimmer of all-time, but I can’t think of another internationally successful American male swimmer who didn’t swim NCAAs. Katie Hoff’s probably the most accomplished American woman who didn’t swim NCAAs, although I suspect Katie Ledecky skips NCAAs too. If I had to pick the most successful non-American NCAA swimmers I’d go with Cielo and Coventry. UCLA at No. 9 is a BIG stretch IMO. I don’t see them getting above 15th at NCAA’s. They do have a strong incoming recruiting class, but we’ll see what can be developed out of the program. I have said in other threads that there is virtually no buzz about the UCLA women’s program in So Cal circles and has been seen as an abyss swallowing up talent the last decade or so. And I am no hater either – I’d like to see them succeed! PAC12BACKER – these are recruiting class rankings, not NCAA rankings. Thanks for pointing that out. Duh, my error for missing the main plot! I agree UCLA’s recruit class is very good. I think you’re going to be surprised by what UCLA can do in the coming years. 2 years ago they were 36th at NCAA’s and last year they were 17th. Last years recruiting class was #10 (who will be sophomores this year) and this year #9. With the incoming class they have filled most of their voids. Some of the girls that are coming in are not only great swimmers but have some serious contacts and relationships in the regions that they are coming from. 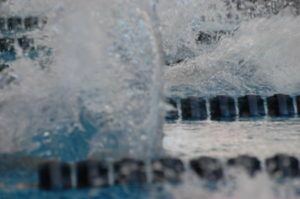 You may find that those contacts with younger swimmers will help future in coming classes from a recruiting standpoint. No need to be a hater. Getting top recruits is not the reason for the lack of success. Ucla always attracts very good swimmers. There are several reasons keeping them from being elite status. Scotty, Give the rest of us some insight on your comment, maybe you have the answer. Otherwise we all know swimming is done in the pool not in these opinion sections. top rankings or the eye popping swims that many in the pac 12 are expecting. I have heard speculation that lack of a mens team may be a contributor. I am very curious what your thoughts are. Stop to this world hater! Stop to this word hater!